Is an Annual Physical Really Necessary? 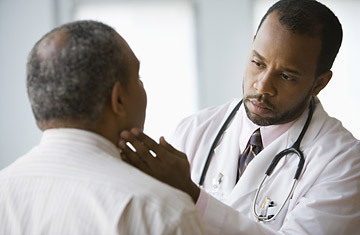 A doctor examines a patient. You get your car tuned-up every year. Why wouldn't you get an annual medical check-up as well? Lots of reasons, according to Ateev Mehrotra, assistant professor at the University of Pittsburgh School of Medicine. In a paper published last fall in the Archives of Internal Medicine, Mehrotra examined how much benefit regular preventive exams provide Americans, and how much they cost. He found that 1 in 5 Americans gets a general physical check-up in a given year, accounting for 8% of all ambulatory visits to doctors and ringing up a $7.8 billion annual price tag. But by examining the data on eight key preventive health procedures, Mehrotra found that almost all the important counseling and testing  from weight-loss tips to mammograms  happens outside of general physicals. Q: Are annual check-ups necessary? A: The debate about physicals has been going on for more than 100 years. In the 1960s and 70s, two large randomized controlled trials were conducted, and both studies showed little positive impact  people who had physicals did not seem to live longer or have less illness than those who did not have physicals. ... Most patients in this country believe an annual physical is necessary, but there's little evidence to support that at this time. Sometimes there is confusion about preventive health exams versus preventive care in general. Things like mammograms, pap smears, PSA testing, those are considered preventive care procedures  and there's a clear evidence base that these are very important for patients to receive. What we're talking about [in our] study is the special visit for [general] preventive care. Physicians say, "The preventive exam is the only time I can really devote to focusing on preventive care." But we found that 80% of preventive services are provided at other types of visits. The vast majority of patients who come in for a physical exam have already seen their physician for some other reason in the previous 12 months. It isn't as if this is the only time that they have contact with their physician. I would say there are potential harms of annual physicals. We are all  particularly in the United States  dealing with increasing health-care costs. If we're providing something that's not helpful, that leaves fewer resources for other, maybe more necessary, care. $7.8 billion is about how much the U.S. health care system spends on breast cancer in total  prevention, treatment, hospitalizations, chemotherapy, every surgery. And that's about as much money as we spend on preventive health examinations [each year]. Then there is the time. If every adult in the United States is coming in for a physical, that's a lot of time. You lose half a day of work. That adds up as a society. [At the individual level], most patients report difficulty getting in to see their doctors in a timely manner. One of the things that could be contributing to [doctors' lack of time] is physicals. My own feeling is that instead of focusing on these special visits, we should focus on the services that we think are most important. So instead of saying that we should focus on making sure every 25-year-old woman comes in for a preventive exam, what do we really want to make sure that woman has received? A pap smear, maybe a cholesterol screening  and similarly [come up with guidelines] for other age groups, and really focus on those key services we think are important. We can discuss if there is some interval at which a patient should come in. One of the major goals of my work was to bring together consensus in the physician community. But until we come to some consensus, what should patients do? My sense is that they should have a discussion with their physicians about this. First, make sure they're up to date with the preventive health services that everyone in the physician community supports, including mammograms and colon cancer screening. But, then, if their physician tells them, "You don't need to come in next year," or, "You can come in several years," this is not blasphemy. It is very reasonable.